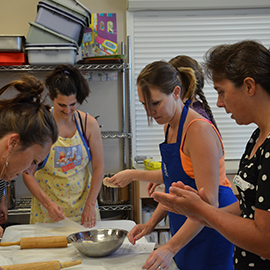 Home economics teachers are in high demand in BC and Canada. Whether you are a home economics teacher who wishes to further your specialization expertise, or you are a qualified teacher who wishes to add a specialization in home economics, the Home Economics Diploma in Education program can assist you. 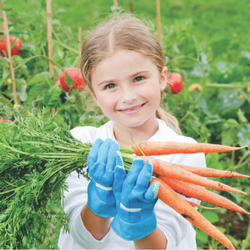 The Diploma in Education is a 30 credit post-degree program designed to help teachers extend and deepen their knowledge of theory and pedagogy related to the teaching of home economics in schools. Teachers who complete their diploma may apply to the Teacher Qualification Service for a qualification upgrade. Apply to take your Home Economics Diploma in Education by attending online or on-campus courses. Occasionally, the Home Economics Diploma is offered as an off-campus program. Pre requisite: EDCP 391. This requirement is waived for home economics diploma students who are qualified teachers. These courses are offered online. Browse the UBC Course Calendar to determine when the courses are offered in the current session. Not all courses are offered each term. Choose five courses from this list (15 credits). OR, choose electives from UBC faculties or other institutions. If you plan to complete courses outside of UBC at another university or at a college to transfer credits to your UBC Diploma in Education program, you need to obtain prior written approval (via email) from a Faculty of Education Program Coordinator (bette.shippam@ubc.ca) before registering at another institution. Upon successful completion of the course, arrange for an official (sealed) transcript from the other institution to be sent directly to the Teacher Education Office (2125 Main Mall, Vancouver, BC V6T 1Z4). To be recognized as official, transcripts must be received in the original sealed envelope bearing the name and address of the university. Please do not send transcripts to UBC general Admissions. It is the student’s responsibility to determine if and when pre-approved electives are offered. The examples in the list may not be offered or changed course names and numbers. ** Only EDCP 498 is offered online. The others (A,C,D,E,F) are rarely offered. *** May be offered online through UBC’s Centre for Teaching, Learning, and Technology. † Courses vary and are usually offered as one-week summer institutes. †† These are distance education courses. Visit the How to Apply & Register page for full details, including a link to the application form.